When you own a home, there are a lot of decisions that go into making it the perfect place for you and your family. Something that people may not always think about, but that can have a big impact, is the cooling system for their home. In addition to ceiling fans, you probably want to consider a heat pump or Air Conditioner unit. Several different factors can determine whether you’d want to use a heat pump vs air conditioners, and there is no one answer for everyone. 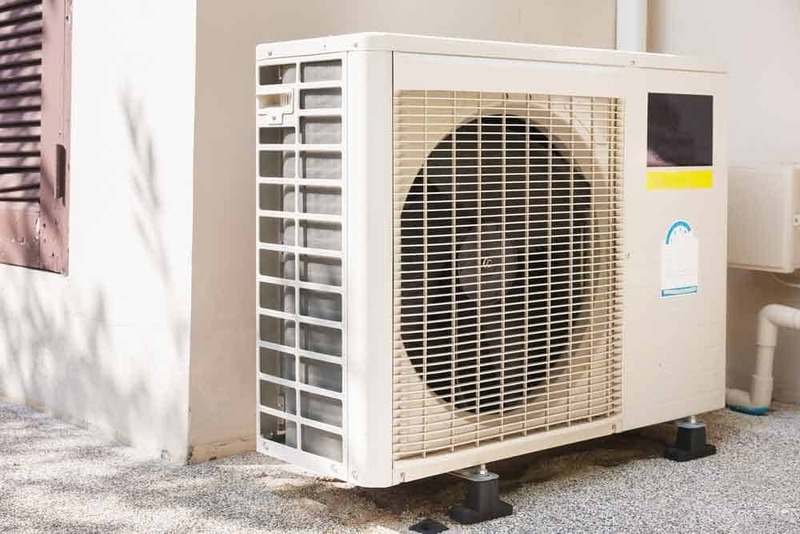 Below, we’ve taken the time to discuss both options and the pros and cons of using a heat pump vs Air Conditioner, so that you can make an informed decision about which is right for your home. There are a lot of benefits to using a heat pump vs air conditioners. • Because heat pumps remove heat from a cool area and transfer it to a warm area, they can be used to both heat and cool and so can be useful all year long. • In the summer, heat pumps will move the warm air outside, leaving your house cool. In the winter, the opposite will happen and your heat pump will warm your house instead. • Heat pumps can save you money! Heat pumps don’t generate heat, they simply move it from one place to another, which can be a more cost-efficient way to cool your home. • Using a heat pump vs AC is a more environmentally-friendly way of heating and cooling your house. Geothermal heat pumps can be especially energy efficient. • Heat pumps are not suitable for every climate. Though heat pumps can be a good alternative to an ac unit, they can’t do the work of a furnace when it comes to heating your home. • If you live somewhere that gets extremely cold, a heat pump will not be enough to keep you comfortable during the winter months. You will probably need another type of heater as well, so choosing to go with an ac unit and furnace may be a more practical option. • Installation costs of heat pumps can be high, and while they may save you money in the long-run, an expensive upfront cost is not possible for everyone. You should also consider that the larger your house, the more indoor units you’ll need for the air to move efficiently, and so the more expensive installation becomes. • Because heat pumps make use of both an indoor and an outdoor unit, the installation process can be difficult and time-consuming and may disrupt your house and daily life. • The average lifespan of a heat pump is between 10-15 years. If you notice that your heating or cooling bills have become more expensive or if the unit becomes noisy and starts rattling, it is probably time to look into a replacement. • Central air conditioning units are the best way to keep your house at a consistently cool temperature. If you live in a climate that can get extremely hot, having central air can be the most reliable way to keep your home at a comfortable temperature during warmer months. • You are also in control of just how cool your house will get. You can choose and adjust the temperature based on the weather outside and your own preference so that your house is cooled exactly how you like it. • It is possible that air conditioning can be better for your health. The process used by ac units to cool your home can also filter out pollen, grass, and other common allergies and keep them from getting inside. • If you only have a small space that you want to air condition, window units are an affordable option. They are not expensive to buy or maintain, and work very well for cooling any room where they’re installed. • Maintenance and upkeep can be a major hassle with air conditioning units. AC units need ductwork to operate, and if your home does not already have it, installing ductwork is a major and expensive renovation. • The filters and coils in AC units also need to be cleaned on a regular basis. Keeping up with this can be time-consuming, but if it isn’t done, your air conditioner will not work as well as it should. • Being able to set one temperature for your whole house can be a good thing if you live alone or your whole family likes the air the same. But the drawback to central AC is that you can’t change the temperature for each individual room, so someone may end up too hot or too cold. • Besides the cost of your conditioner and its installation, you will probably need a separate heating unit to use in your home during the colder months. This means that you should also consider the cost of installing and maintaining a furnace when you’re looking at your overall budget. Before you can decide on a heat pump vs AC, it’s important to understand what each is and how it works. 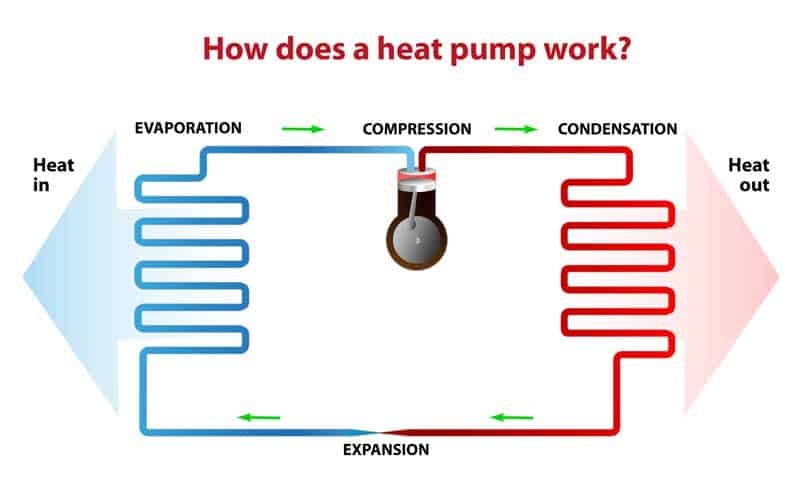 Heat pump systems move heat from a cool space to a warm space using electricity. In warm months this means that warm air is being moved outside, which leaves your house nice and cool. The majority of heat pump systems found in homes are air-source systems. These systems are made up of two different parts. There’s an indoor unit called the air handler and an outdoor unit which is called the heat pump. Tubing connects the two units, and the heat is absorbed from one area (such as inside your house) and then released in another area (outside). Split-ductless heat pumps also are made up of an indoor and an outdoor unit. A compressor or condenser is used outside, and anywhere between one and four air handlers are used inside. The indoor units should be installed somewhere high, like up on a wall of on the ceiling. They are operated by a remote control. Then, just like with the air-source systems, air is passed between the two units by the tubing that connects them. The third type of heat pump is called a geothermal heat pump. Geothermal heat pumps use pipes to move heat from inside your house to outside. These pipes have a water solution inside them that is always warmed to 50 or 60 degrees Fahrenheit. Understanding air conditioning units will play a big role in helping you decide on a heat pump vs AC. Air conditioning units are common in many homes, but most people don’t understand how they actually work. The air conditioning unit in your home works a lot like your refrigerator does to keep things cold. The process can seem complicated, but the bottom line is that unwanted heat is removed from your house through a set of coils and fans. Your home is then left comfortably cool. For smaller apartments or single rooms, window units are the most common type of air conditioner. With a window air conditioning unit, all of the components used to cool the room are held inside of a single box. To cool several rooms, a split air conditioner can be a good option because they typically do not take up as much room as a window unit. These air conditioners have both an indoor and outdoor unit, which work together to cool the space. If you’re cooling a bigger building or entire home, central air conditioning makes the most sense. These units are made up of large compressors that can produce lots of cool air at once to distribute throughout a space. Depending on where you live, how big your home is and what kind of budget you’re working with, you may have an easy decision to make when it comes to a heat pump vs AC. If the choice is not clear, though, it is important to consider the pros and cons of both options. If you have experience with either of these systems or an opinion you’d like to share, please feel free to leave us a comment below. My wife and I are trying to make our home more energy efficient and we’d love to save money on utility costs. I like how you mentioned that a heat pump can help move the warm air out of your house during the summer and have the opposite happen during the winter. Knowing that it’s a more cost-efficient way to cool your home is a great benefit too. We’ll want to find a professional who’s familiar with this to help us find the right heat pump and install it. Virginia, where heat is used during nearly a year of the year. The question of heating your home has long been something of a concern.